Rate this Article Do you enjoy playing games on your Android phones or tablets? Well, here are the 5 fun classic games we just can't get enough of! The Android app store (Google Play) has a sweltering amount of games on offer. There are over 3.5 million apps available to download on Google Play and many more games are added each and every day. While it's positive to see that Android users have such a varied amount to choose from, it can be difficult for players to know which games are worth it and which ones to bother downloading. But as the saying goes, sometimes the best games are the classics - from poker and slots to Super Mario - and the best-known Android apps out there are as such because they are the most fun. You needn't go looking through the list of new releases - just take a look at this list to find out what to download next. Texas Hold'em is one of the best-known types of poker. How it works is that two cards (which are known as the hole cards) will be dealt face down to each player before five community cards are then dealt face up (this is done over three stages). The aim of the game is to put together the best five-card combination possible. 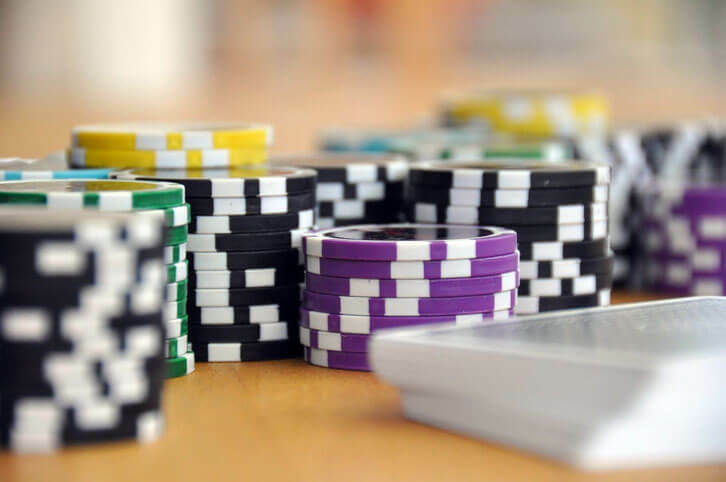 However, you don't necessarily have to win every hand, but you figure out how to bet, call, raise, and fold in an effort to outsmart your opponent. 888poker offers online Texas Hold'em and mobile poker through its Android app, allowing poker enthusiasts to play the game on the go. The app also allows you to play different poker variations such as Omaha Hi-Lo, stud poker, and seven-card stud. Helpfully, by registering with an account all of your activity and funds can be transferred to any device meaning that you can carry on playing poker through the app even if you get a new phone. Fans of poker might also like to take a spin at different casino games. There are plenty of opportunities for you to spin slot machines and fruit machines online through your browser, with Gamepoint Slots being just one of the games featured on SlotSevens. But did you know that there are ways for you to spin digital slot machines on your Android devices as well? There is a variety of different slot machine apps for Android devices, with many of them offering different themes and some of them are tie-ins with other video games. For example, some of the apps are typical fruit machine slots with bells, sevens, and watermelons, while others are based on leprechauns, lucky charms, and symbols (e.g four-leaf clovers and horseshoes). You can also find slot apps that are based on Greek gods and goddesses as well as a few that are styled like actual arcade slot machines that you can find in a real-life arcade. There's a lot to choose from and many of the apps are free to play and offer free coins for watching ads and taking part in offers. They can be good fun for passing time when you have a long commute on the way to work. Nintendo surprised many when the company announced that it would be making mobile games. The console gaming company had long resisted the call from investors to get into the lucrative mobile space, but Nintendo has now released several mobile titles, including Super Mario Run. Super Mario Run is a classic platforming game featuring the iconic plumber Mario and all of the characters from his universe (e.g Toad and Princess Peach). Controlling Mario, you must tap the screen to make him jump, dodge and overcome obstacles that can slow him down or decrease the number of coins that he has collected. The game features multiplayer races where you try to beat your opponent's score and there is also a world customization mode where you can place decorations and houses. This helps to keep gameplay varied. In summer 2016, it seemed like everyone caught Pokemon GO fever! The chance to play some sort of Pokemon game on a mobile device seemed irresistible to many, which is why millions of players downloaded the free-to-play app as soon as the game was released (it was so popular that the servers couldn't handle it). In Pokemon GO, you explore the real world in order to catch virtual Pokemon. You can visit Poke Stops to collect PokeBalls and other items (such as Pokemon eggs and lures) and you can also train your Pokemon and let them duke it out in fierce Gym battles. Pokemon GO developer Niantic recently introduced the Raid and weather system gameplay features too. With Raids, you can team up with other players to take on especially difficult characters, then having a chance to catch them and add them to your collection. Meanwhile, the dynamic weather system considers actual weather conditions happening in your area (e.g. rain, snow, and sunshine) to make certain Pokemon appear more frequently or to increase the power of certain Pokemon moves. King's sugary puzzle game Candy Crush Saga is one of the most popular mobile games that the world has ever seen. In fact, this game is so popular that it even has a spin-off game show for television. That's pretty impressive given how simplistic the game's gameplay is. 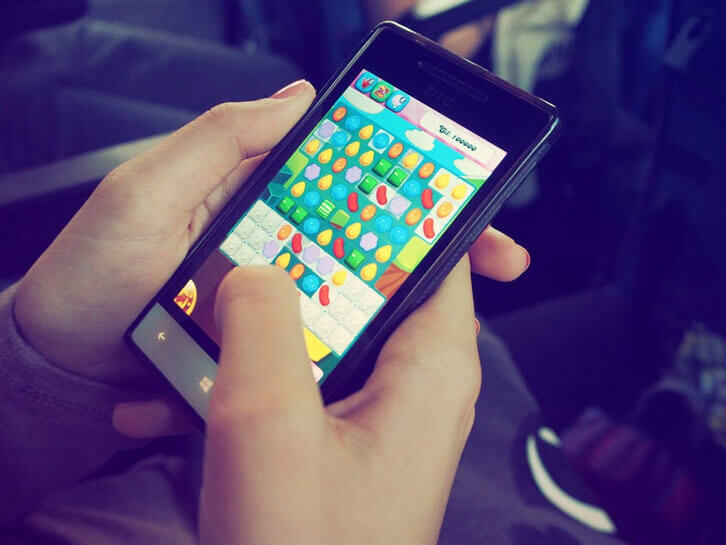 Gameplay in Candy Crush Saga revolves around matching up various sweet treats to clear them from the board. Each level will have an objective e.g. racking up a certain amount of points or clearing certain blocks from the board. Although the design is fairly basic, at the higher levels Candy Crush Saga can be difficult and can really test your skills. Helpfully, you can unlock and use power-ups to make levels easier. It's not just about mobile poker and chasing Pokemon though. The mobile gaming world is so varied and is so large that the list of fun and classic Android games is sure to grow even more. For example, there are games like Word Cookies and Fire Emblem Heroes that are still entertaining even though they have been available for quite a while. Who knows what the next hit Android smartphone game will be.